NOTE: To view photos of the Scholarships for Military Children luncheon held May 1 at the 2014 Commissary Roundtable event in Richmond, Va., go to https://www.flickr.com/photos/commissary/sets/72157644689221271. FORT LEE, Va. – Six hundred children from the military community are receiving about $1.2 million in financial assistance thanks to this year’s Scholarships for Military Children program. Since its start in 2001, the Scholarships for Military Children program has awarded about $14.5 million in scholarships to more than 8,000 children of active duty, Guard and Reserve, and retired service members worldwide. This year, the scholarship amount per recipient increased from $1,500 to $2,000. The Defense Commissary Agency participates in the program by accepting applications from eligible children and submitting their packages to Scholarship Managers, a national, nonprofit, scholarship management services organization. DeCA Director and CEO Joseph H. Jeu thanked the agency’s industry partners, who help bolster the scholarship program with their corporate donations, at the 2014 Commissary Roundtable event on May 1 in Richmond, Va.
Commissary vendors, manufacturers, brokers, suppliers and the general public fund the program through donations. And, all donations are applied solely to funding the scholarships, said Jim Weiskopf, vice president of Fisher House Foundation, a nonprofit organization that assists family members with temporary lodging when they visit hospitalized service members. The Fisher House Foundation sponsors the administration of the scholarships program. “[The scholarship] is an investment in education; it is an investment in military quality of life; it is an investment in our future,” Weiskopf said during the scholarship luncheon at the Commissary Roundtable. Two of this year’s 600 scholarship recipients, Caitlin Truong and Luis Beltran, spoke during the luncheon. Truong, the daughter of an Army reservist, is a senior at Clover Hill High School in Midlothian, Va. During her high school years, she has been the captain of the dance team and president of the French Club. She is a member of the National Honor Society, French Honor Society, Tri-M music honor society and Clover Hill’s nationally ranked mixed show choir. She has also volunteered more than 400 hours at her local YMCA. Truong will attend Virginia Tech University in the fall, majoring in business. Beltran, the son of an Army master sergeant, is a senior at Colonial Heights High School in Colonial Heights, Va. He is a member of the National Honor Society and National Science Honor Society, volunteers through the Youth Advisory Council and plays on the varsity tennis team. Beltran is also the secretary of the Beta Club and Junior Optimist Octagon International Club. He will attend Virginia Commonwealth University in the fall, where he plans to major in biomedical engineering. This year’s essay topic asked applicants to write about the hardships of military service aside from deploying to a war zone. Truong wrote her essay on the financial issues facing military families that result in them qualifying for assistance programs. Beltran addressed the impact of congressional budget cuts in his essay. During the selection process, Scholarship Managers reviews the applicants’ grade-point averages, their extracurricular and volunteer activities, and their essays. To see winners of the 2014 Scholarships for Military Children program, go to http://www.militaryscholar.org/sfmc/winners14.html. About DeCA: The Defense Commissary Agency operates a worldwide chain of commissaries providing groceries to military personnel, retirees and their families in a safe and secure shopping environment. Authorized patrons purchase items at cost plus a 5-percent surcharge, which covers the costs of building new commissaries and modernizing existing ones. By shopping regularly in the commissary, patrons save an average of 30 percent or more on their purchases compared to commercial prices – savings amounting to thousands of dollars annually. 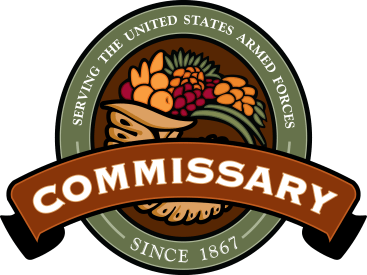 A core military family support element, and a valued part of military pay and benefits, commissaries contribute to family readiness, enhance the quality of life for America’s military and their families, and help recruit and retain the best and brightest men and women to serve their country. MILPAGES: To see news about DeCA on this forum for members of the U.S. military, their families and supporters, visit www.milpages.com/pages/defense-commissary-agency/.